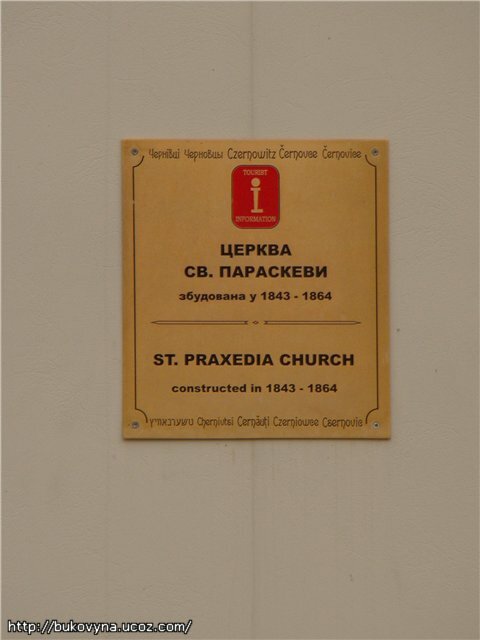 Location: Corner of Holovna and Zankovetska st. 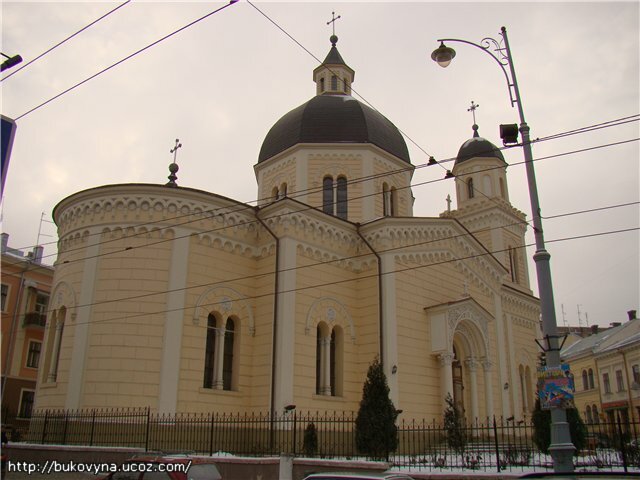 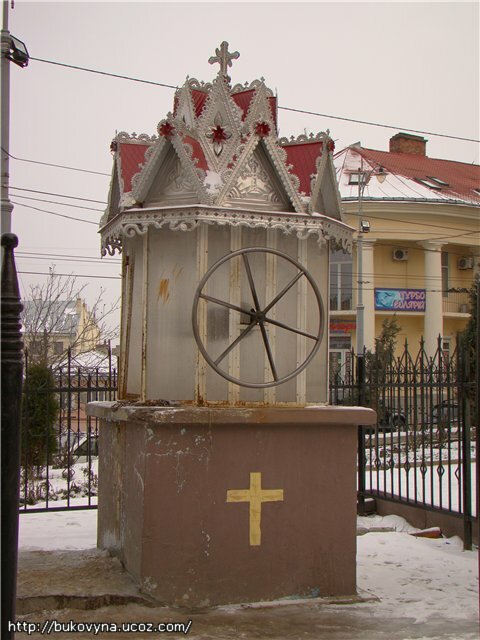 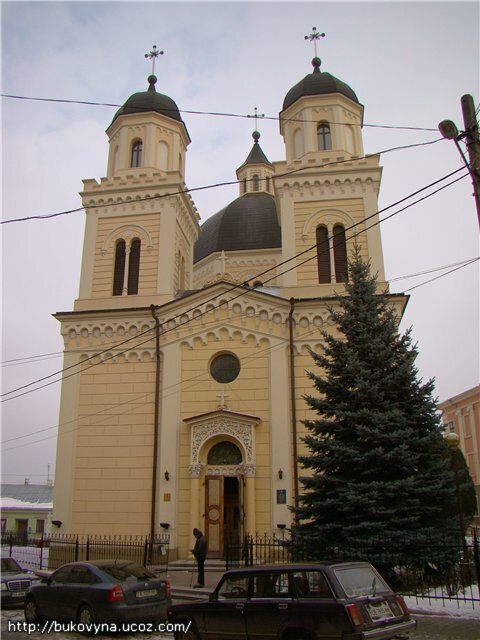 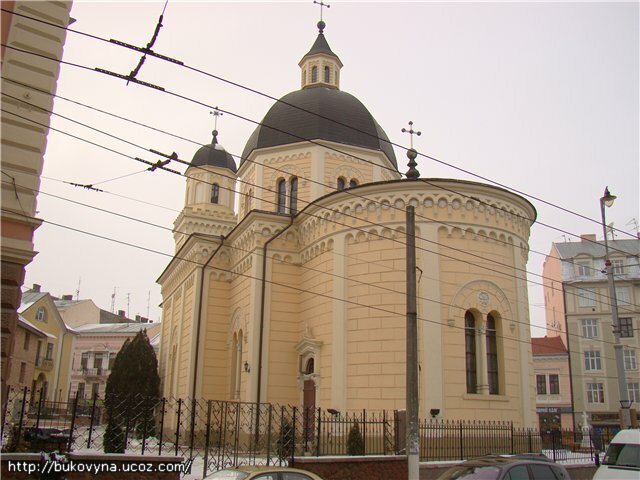 The construction started in 1844 at the place of the old wooden church located in the corner of the modern Zankovetska and Holovna streets at the initiative of Father Andrew Vasylovych, the church guardian. 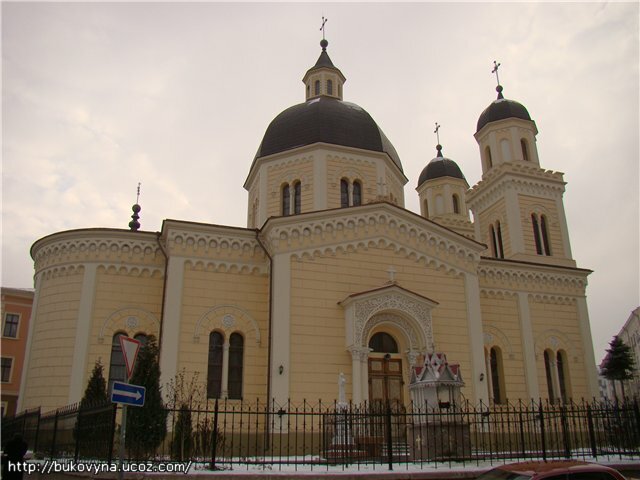 Due to financial troubles the construction continued almost two decades and as completed due to the help of Bycovynian orthodox religion fund.